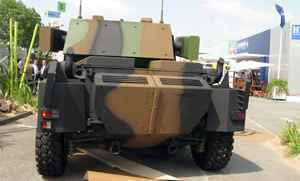 Panhard General Defence, working in collaboration with Lockheed Martin UK, has continued to develop its Sphinx medium 6x6 armoured vehicle concept to address French Army and potential overseas requirements. First unveiled in 2010, the Sphinx incorporates the best adapted technologies and solutions to fulfil operational needs within today's budgetary constraints. 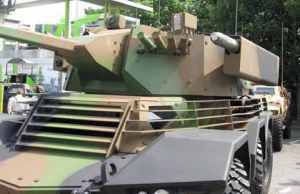 Lockheed Martin UK has been working alongside Panhard to enhance the Sphinx through its proven turret technology utilised in the UK Warrior and Scout SV programmes. 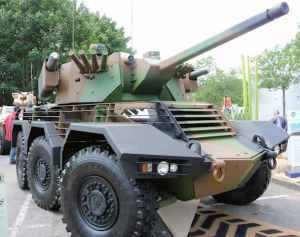 «Within an aggressive budgetary environment, Panhard has offered an affordable EBRC solution to the French Army, as it significantly reduces development costs by putting forward a reliable and qualified asset. 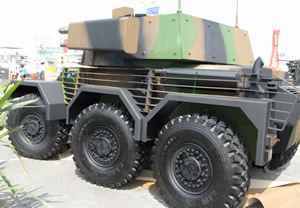 A weight in combat configuration of about 16 tons enables us to offer a vehicle with a lower procurement cost in comparison with much heavier conventional solutions. In line with the 2012 Lancaster Treaty on Anglo-French cooperation, we have been working in collaboration with Lockheed Martin in the United Kingdom to further develop the shared programmes, " Christian Mons, Chairman and CEO said. The advantages of Sphinx include reduced weight; maturity; and the pedigree of Panhard, renowned for its know-how in the design and manufacture of light armoured wheeled vehicles. 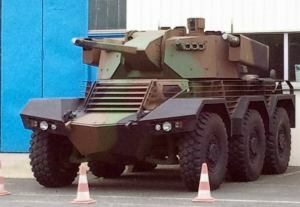 Marc Chassillan, Panhard Marketing VP, reminds us of the purposes of this project: "All things considered, procurement cost and operational maintenance cost for an armoured vehicle are proportionate to its weight. 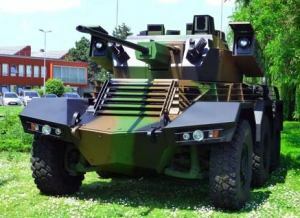 By developing a sixteen-ton armoured vehicle in combat configuration, Panhard was able to address these issues. Regarding costs, it puts the Sphinx 30 % lower than conventional projects, and it increased twofold the A400M-deployment factor, as it will be possible to load a couple of vehicles in the bay of the future European tactical cargo aircraft. These are critical arguments for the French Army. " The Lockheed Martin turret already includes numerous technologies mastered by renowned French manufacturers. 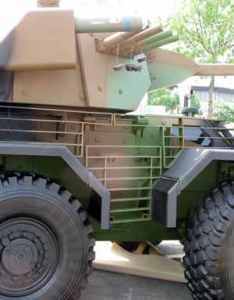 The CTA 40 weapon system and its associated munitions will be delivered by CTAI - the common subsidiary of Nexter Systems and BAE - located in Bourges. Optronics and sights are provided by Thales. ATGMs will be of the MMP type currently being competed. 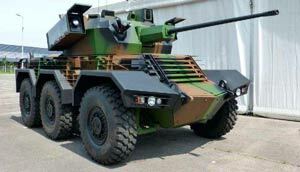 "The Lockheed Martin turret perfectly meets the French Army's requirements. 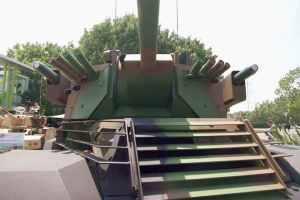 And, together, we are already considering the integration of future common equipment coming from Scorpion in order to complete the perfect adequacy of this turret to the French requirements. " Eric Hervet, Panhard Development Manager added. Richard Muir, Business Development Director at Lockheed Martin UK highlighted the advantages of Lockheed Martin UK's low risk approach. 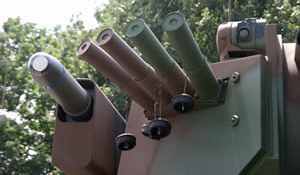 He commented: "Our EBRC CT40 turret is based on our proven integration of the CT40 cannon on the UK's Warrior and Scout programmes. We take a modular approach to our turret design. That means we get a lot of commonality and re-use between different solutions, which is particularly important on critical parts of the design where you don't want to reintroduce risk. We are also able to minimise our design and development costs. "Our electronic architecture, which is Defstan compliant, also allows us to rapidly integrate new mission systems, which is important when there's a strong national preference, such as the sighting, ECM, DAS and comms systems. There is already significant French content, about 50%, in our current turret and we're committed to working with the French Ministry of Defence to deliver the right French industrial solution." 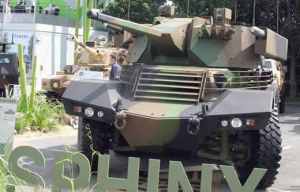 Panhard also intends the Sphinx to address well identified export markets: "The size of the chassis enables us to set other medium-calibre (30-mm or 35-mm) turrets onto it. Moreover, all 90-mm turrets can be set and we are still considering integrating a short-recoil 105-mm gun. Among the other versions, TMUASs (Turret Mortar Under Armour Systems), and anti-aircraft missile launchers or guns are also feasible operational layouts. Eventually, the Sphinx will make up a full family" Marc Chassillan said.